Orders via Good Smile Online Shop can be placed between the 28th November 2017 (Tue) from 12:00JST until the 11th January 2018 (Thu) at 12:00JST. Orders via Good Smile Online Shop can be placed between the 25th April 2016 (Mon) from 12:00JST until the 25th May 2016 (Wed) at 21:00JST. 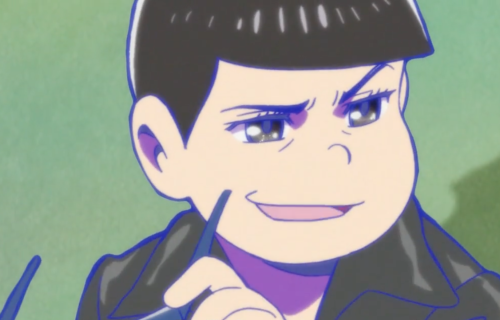 "I'm ready for you, Karamatsu Girls!" He better come with his awesome outfit! His leather jacket, his glasses, his skull belt... and mostly, his absolutely perfect top. And maybe a little guitar??? selling him with GSC bonus for 45 dollars plus shipping pm if interested.